There’s probably no more frequently quoted show in all of NYC, and maybe the country (and maybe the continent [and maybe the world]), than Seinfeld. And while pretty much everybody remembers stuff like Monk's, Festivus, Top of the Muffin, and "no soup for you," even after all these years, there’s still stuff you don’t know. These 19 things are that "stuff." And yes, they’re real, and they’re spectacular. 1. 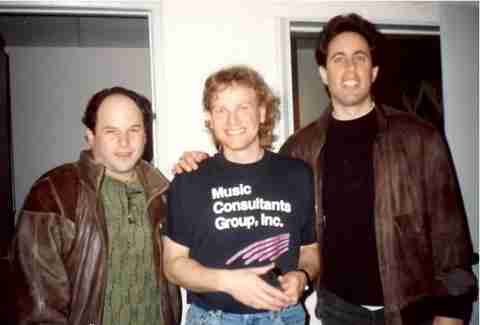 The pilot episode is called "The Seinfeld Chronicles"
Which was also the working title for the series, according to Jonathan Wolff, who was enlisted around this time to compose the theme song. 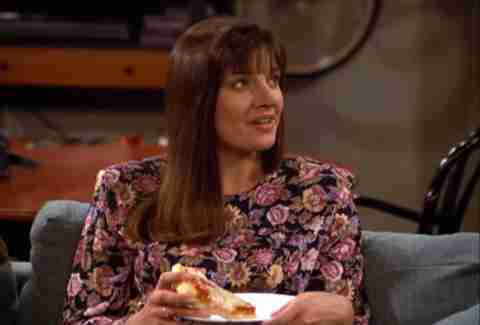 Those cozy-seeming couches in Jerry’s apartment? Not actually all that comfortable. They were actually kind of hard -- not as a “screw you,” to the actors, but to facilitate getting up and down from them easily. Remember that gigantic, amazing nose in "The Nose Job" episode? It almost didn’t happen, according to makeup artist Robin Dee LaVigne. “The initial nose came back from the prosthetics-maker far too small. I put the nose on [actress Susan Diol], and everybody came running to me, saying, ‘It’s not big enough, what are we going to do?’ They wanted to throw it out, and I said, no, leave it on, let’s see what I can do.” She ended up building it up with mortician’s wax until it was the enormous, cartoonishly large nose that made the episode hilarious. See: what happens when you film an East Coast show in Los Angeles. Turns out Atlantic kelp (yeah, kelp, like the seaweed powder your vegan roommate insists on keeping on top of the fridge) doesn’t look like Pacific kelp, so when they filmed “The Marine Biologist,” (the episode with the beached whale) the art department had to order 55 gallon buckets of the stuff from a Northeast aquarium to prevent another East Coast/West Coast mishap. "All right then, sir!" said in a British accent was a popular joke among the crew. The theme’s composer, Jonathan Wolff (center), wasn’t surprised. “At the time, it was music from Mars,” he says. Before the show aired, network executives sent the production team a list of the changes, and the bass-heavy, mouth-pop-riddled theme song was right at the top. But despite the fact that -- or more likely because -- this music was so “annoying” Larry David was “adamant” that Jonathan shouldn’t change a note of it. According to Wolff, at the 100th episode party they had a big centerpiece blowup of that list and it was clear that they had fought every single one of those suggested changes. You knew it was a lot, but come on bro. They were played by everyone from Catherine Keener to Courteney Cox, Christine Taylor, Debra Messing, Teri Hatcher, Jennifer Coolidge, Kristin Davis, and Tawny Kitaen. It was originally a green Klein, but was replaced with a silver Cannondale. At some point, the bikes switched again, and Cannondale made a milk carton with a "missing" ad for their bike on it. There were multiple takes, and they were all breathtakingly rad. 12. The scene that caused the actors to break the most? The "Do you want a piece of me?" 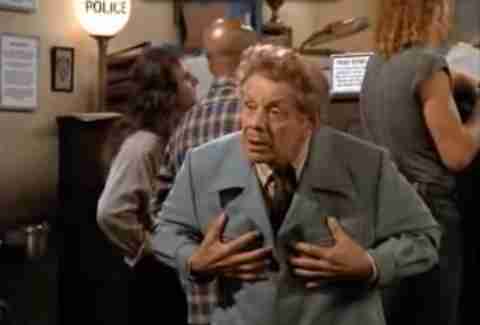 fight between Frank Costanza and Elaine. Probably because it’s hilarious. And as Jonathan Wolff said “That’s not an order, that’s an insult,” but even Jerry has said that he never thought the show was going to be a big success. He was wrong. The facade for 129 W 81st Street was actually filmed in Los Angeles. 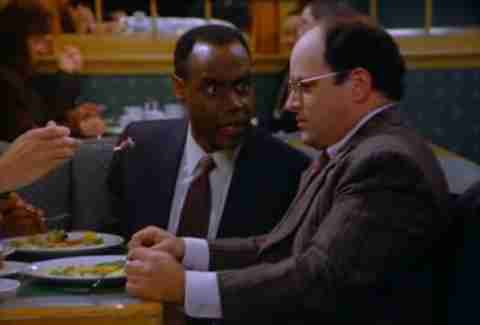 You CAN, however, check out Monk’s (really Tom’s Restaurant) on Broadway and W 112th, but you probably knew that one. One for defamation of character, and the other for violation of privacy. 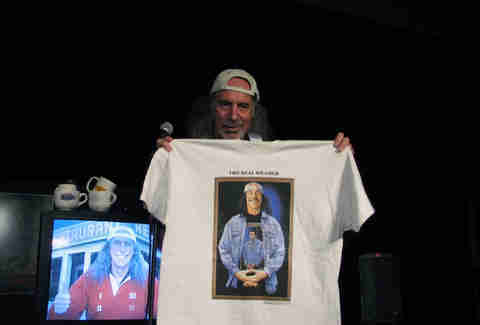 The cases were dismissed -- partially because both men had chosen to appear in cameos on the show -- but while Kenny Kramer is acknowledged to be the inspiration for Cosmo, the Seinfeld reps maintain that George Costanza is actually based on Larry David. His website blessedly looks as though it has not been updated -- save for a new 2015 bus schedule -- since 1997. That’s right -- Kramer has now been ordained. Per the website: “Forget fake 'Elvis'! 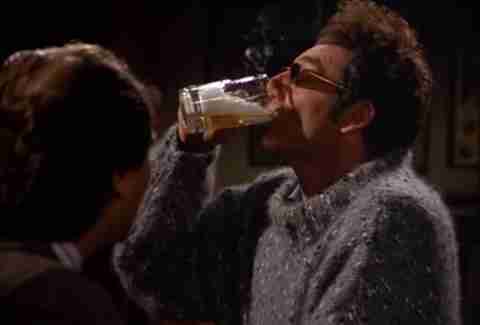 Get married by the Real Kramer.” Um, definitely. "If you’re one of us, you’ll take a bite.” But he uses it as encouragement to get his kids to try new food. Megan Mullally, Rosie O’Donnell (wut), and Mariska Hargitay all auditioned for the role, but only Julia Louis-Dreyfus had the SNL background and special je ne sais what. Jess Novak is a Thrillist contributor who divides her time equally between drinking Scotch and exploring New York. She'd love nothing more than for you to stalk her on Twitter and Instagram.